My name is Darby, and I’m a thrift store addict. No, really. I am addicted and it is absolutely the best thing. Thrift shopping is my idea of a good time. A good 80% of my wardrobe is made up from wonderful things I’ve found from my local thrift stores. Thrifting is like searching for hidden gems. You may have to dig through a lot of junk, but when you find a treasure, it is more then worth it. I enjoy thrifting for those gems so much that I’ve even turned my love for a good deal and a pretty dress into a little business endeavor called Darby’s Dresses. I find only the cutest and most pristine dresses at my local thrift stores, clean them, take their measurements, and sell them to ladies who like a good deal (My dresses are usually $15 including shipping – or less!) but don’t have time to go treasure hunting themselves. Check out my shop sometime and say hi. But what if you want to find your own treasures in your local thrift stores? If you find thrift shopping overwhelming, and if you haven’t had good success when you’ve tried in the past, this post is for you. I’m here to share some tips I’ve learned along my thrift shopping journey so that you can start finding your own gems, too! #1. Go in with an open mind. You can’t approach thrift shopping with your heart set in stone on just one thing. If you have the mindset of “Today I’m going to go find the size 8 J Crew pink cashmere sweater. But it has to be salmon pink, not bubblegum pink, or I won’t buy it!”, you probably won’t get very far. If you go into a thrift store being too specific, prepare to be disappointed. While it is great to have generic goals in mind such as “I’d like to find a sundress today that makes me feel cute” or even “I’d like to find some blouses from Old Navy today”, be open to trying out all sorts of colors and styles. Usually you find something great where you least expect it! I’ve gone in looking for shoes and left with a bookshelf before! You just never know what you might turn up. Just because it’s cheap and almost right, doesn’t mean you have to get it. If I could go back and change one thing about my thrift store shenanigans, it would be this. So often I’d find something and it would be almost what I wanted, but not quite. For example, I’d find a purple blouse. It was my size, but was a couple inches too long in the torso, so it didn’t fit my body right. And it had a small stain under the arm. I’d think “Well, for a couple bucks, I might as well get it!” So I’d walk out with 8 sub-par items of clothing but nothing I really loved. Without fail, I would end up donating the items within months, if not weeks. It’s hard in a thrift store atmosphere, but the key to success is to embrace quality over quantity! Don’t buy something just because it’s a good deal. Buy it because it looks great on you and because you love it. #3. Be ready to spend a lot of time in the store. If you head to the thrift store and think:“I’ll just go in for a couple minutes and find something amazing”, you’ll likely be disappointed and discouraged. There are going to be lots of denim jumpers and polyester sweatsuits to sort through before you find the perfect and adorable Ralph Lauren striped skirt. It takes time to sort through everything to find the pieces you’ll love. Unlike department stores, you will rarely be able to just jump in and find something pretty in a couple minutes. But that’s why a top at the mall can cost you $50, vs $2 at the thrift store. Be prepared to spend an hour or more sorting through racks to find one or two things. Plus, you need to try everything on, and look it all over for flaws. Allot time into your schedule for the looking and the trying on parts of thrifting, because there’s nothing worse than needing to be somewhere else when you have an armful of clothes and you don’t know if they’ll work or not because you haven’t had a chance to try them yet. This doesn’t mean you have to buy something you think is ugly just because it’s a nice brand, or leave something you love on the rack because it doesn’t have a popular brand on the tag. Even the most elite designers still make pieces of clothing that would be more suited to cover your grandma’s sofa than you. But it’s a good idea to be aware of which brands will have a high quality and which are considered cheap to help you make decisions as to what to buy. Cute dress, but from the run of the mill cheap teenager’s clothing store? May want to put that one back on the rack, as it has a likelihood of fading or wearing out quickly. Pair of pants that are simple, but classic, in a high dollar brand? Get them. They might not be exciting, but you’ll wear them for years to come and they won’t wear out or go out of style. It’s also good to know what brands typically fit you well and what size you need in that brand. Remember that one brand’s size 0 can be another brand’s size 8. You won’t know that if you don’t try it on. If you find the perfect item and it fits you well but it’s not the size you “normally wear”? Get it anyway! Be aware that brands that cater to an older clientele tend to run bigger in sizing (Talbots and Christopher and Banks are some examples) whereas brands that cater to a younger/teenage clientele tend to run smaller. (Charlotte Russe, Forever 21). Remember how I said not to settle? I meant that. But that only applies to items you buy, not items you pull out to try on. Don’t be too picky when you’re sorting through racks. See something that even slightly intrigues you? Put it in your cart. A print you normally wouldn’t be bold enough to wear, something that’s not typically your style but you’ve always wanted to try, an item that isn’t your usual size, but you think it looks cute? Put it in your cart and try it on! You may be surprised that the safe choice of a blouse that looks like something you’d usually buy doesn’t flatter you as much as that bolder dress you almost left behind. 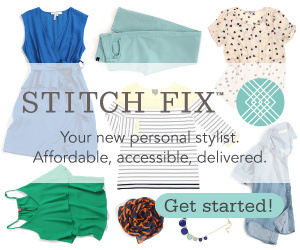 This is one of the ways I’ve gotten out of “style ruts” and found new and fun ways to dress. Don’t be too discriminatory when sorting through the racks. This is what makes thrift shopping so wonderful. It’s not cookie cutter. You have to have an open mind to find new things you might not ordinarily wear, and that is a lot of fun! I’ve found so many unique pieces that take me out of my style “comfort zone”. But today, I still wear them and love them. All because I gave it a chance and tried it on. So try it before you buy it, but don’t limit yourself with what you pick out! You might be pleasantly surprised. Thrifting can be a lot of work. But it is always worth it when you can fill your wardrobe with color and styles that otherwise you’d never be able to afford easily. And if you go in to your next thrifting adventure armed with these tips in mind, you are sure to successfully find many fantastic things. Darby is a young wife and mom. She loves reading, cooking, singing, and of course fashion and thrifting. She resides in middle Tennessee with her family and operates Darby’s Dresses, a small business dedicated to finding carefully curated dresses in all styles and sizes for those on a budget who still like to wear high quality and adorable clothing. 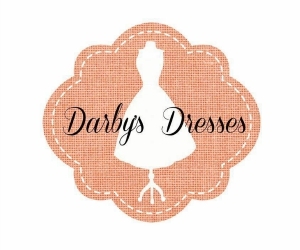 You can find her shop on her Facebook page or follow her on Instagram as darbysdresses.